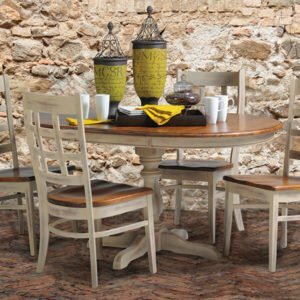 Country Dining Room set featuring solid oak with custom sizes/ finishes. 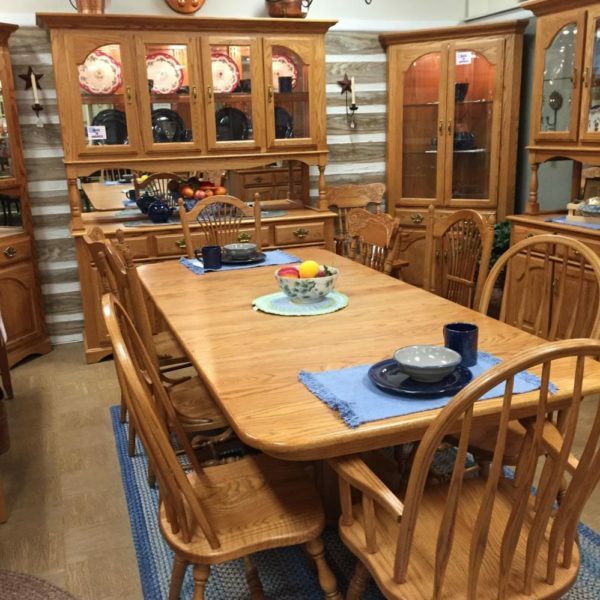 This amazing collection features three different hutch sizes plus a choice of open well or full glass doors. 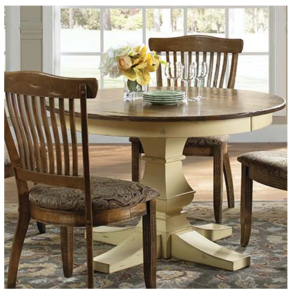 You can choose the size, finish, and chair style; Make it your way. 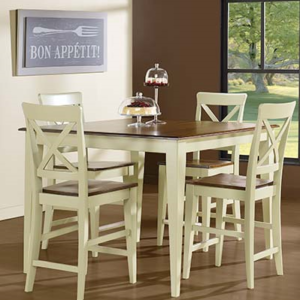 Country Dining Room set featuring solid oak table and chairs. Available in custom sizes and with custom finishes. The solid Oak table comes in multiple sizes as well, with self storing leaves. 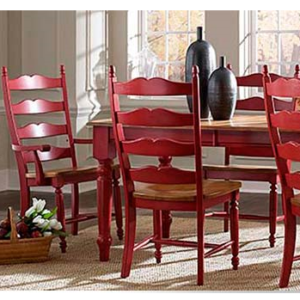 Country Dining Room set is made in America.